Hardwood floors are durable and strong. They are also aesthetically beautiful. Their benefits reach far beyond these basic facts. There are many more reasons why it is wise to choose hardwood flooring for a home. Hardwood flooring is the best flooring for the environment. Hardwood flooring is often made from sustainable sources such as bamboo or cork. 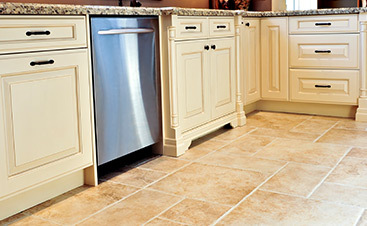 These are both good choices for floors because they are hard and durable so they can withstand a lot of everyday punishment. Wood is a great renewable source. Currently the in the United States more trees are grown than are cut, so using wood for flooring helps to keep the number of trees in proper balance. A major benefit of hardwood floors is its versatility. There are many different types of woods that can be used to make floors. There are also innumerable stains and finishes. The woods and finishes can be combined in many ways to create combinations that suit any homeowner’s needs and tastes. Since different woods have different strengths, hardwood floors can be used in literally every room in the home. 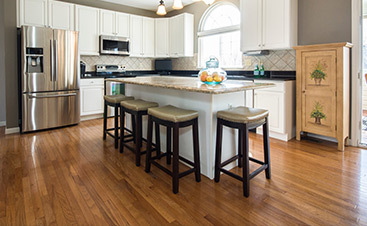 For example, a kitchen floor benefits from harder woods that can withstand abuse such as oak, maple, or cherry. On the other hand engineered wood makes a better choice for bathrooms because they can hold up to high moisture levels. Hardwood floors are quite easy to take care of. They don’t pick up a lot of dust or dirt, so it is relatively easy to just dust mop them. Also they are quite resilient to stains. Some grains do a fabulous job of hiding any stains that do occur. 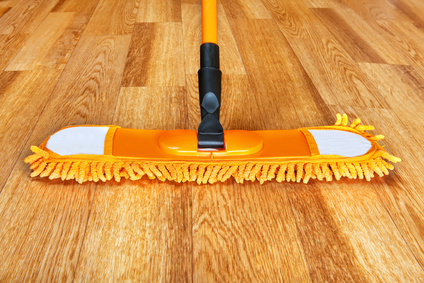 Even though hardwood floors can get dinged and scraped, they are easily mended. The process of sanding down, smoothing and refinishing mars on a wood floor is relatively simple. Lots of people suffer with allergies. Carpeting is a haven for dust, dust mites, dirt, and other allergens that cause people to suffer. Having wood flooring in a home makes it easy to remove allergens from a floor, allowing allergy sufferers to breathe more easily. Having wood floors in bedrooms is especially helpful for people who suffer from allergies, asthma or other breathing-related ailments. Home builders will often install hardwood floors as a high end feature in a new build. Further, when a home is being appraised, there is added home value calculated in. Hardwood floors add a look of high quality and class to any home. 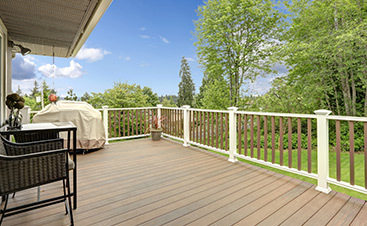 New home buyers often desire the high-end look that wood floors bring to a home. Having wood floors installed will instantly increase the value of the home.